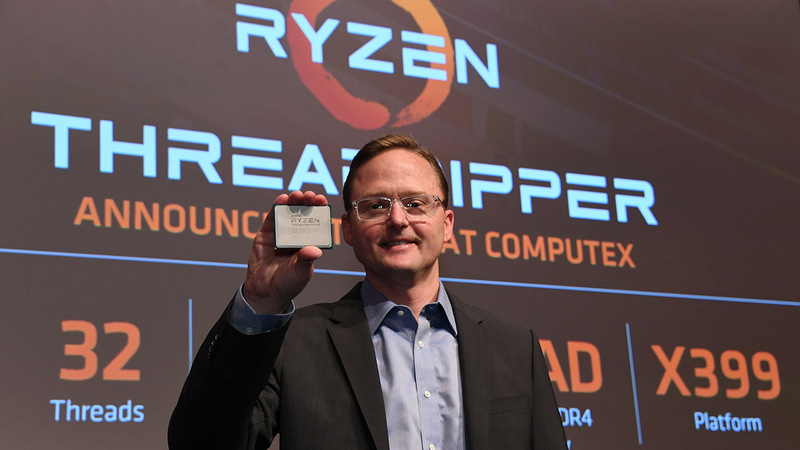 I have just heard something pretty massive: Jim Anderson, AMD’s Senior Vice President and General Manager has resigned and AMD should be announcing this fact very very soon. The reasons surrounding the sudden departure are unknown but I have heard it had something to do with “tensions” related to Lisa Su. AMD will be announcing his departure at the close of business today and from what I heard his exit was due to some alleged tensions stemming from Lisa Su. We will get more clarity on this development once the official announcement happens soon. Jim Anderson will be moving on to become CEO of an as of yet unnamed company. Dare I hope it will be one of its rivals? This is a breaking piece so we are short on info right now but I will update the story when I hear more. Jim Anderson is senior vice president and general manager of the Computing and Graphics Business Group. Anderson joined AMD in May 2015. Anderson is responsible for managing all aspects of strategy, business management, and engineering for AMD client computing products and solutions, as well as sales for AMD client and graphics products. He brings to the role 20 years of business and technical expertise, deep industry knowledge, and a proven track record of leading business and engineering teams to drive growth. Anderson joined AMD from Intel Corporation where he served from November 2014 to May 2015 and completed the acquisition and successful integration of the Axxia processor business from Broadcom Limited (formerly, Avago Technologies) to Intel. Anderson spent the last decade at Broadcom Limited and LSI Corporation in a variety of leadership positions spanning strategic planning, marketing, engineering, sales and general management. Prior to joining LSI Corporation in 2005, Anderson held strategic planning roles at Intel Corporation for mobile/laptop and server processors in addition to serving as a microprocessor architect. Anderson holds numerous academic degrees, including an MBA and Master of Science in electrical engineering and computer science from the Massachusetts Institute of Technology, a Master of Science in electrical engineering from Purdue University, and a Bachelor of Science in electrical engineering from the University of Minnesota. Anderson has received four patents for innovations in computer architecture. He also serves on the Board of Directors of Qylur Intelligent Systems, Inc.
We are promoting Saeid Moshkelani, a 30+ year AMD semiconductor veteran, to SVP & GM Client Compute given the departure of Jim Anderson to Lattice Semiconductor. For the past several years we consistently executed our multi-generational, leadership product and architectural roadmap across our CPU and GPU portfolio. Our upcoming 7nm product portfolio represents the next major milestone for AMD computing and graphics leadership, including our second generation “Zen 2” CPU core and our new “Navi” GPU architecture. We have already taped out multiple 7nm products at TSMC, including our first 7nm GPU that is planned to launch later this year, and our first 7nm server CPU that we have sampled to strategic customers and plan to launch in 2019.
leverage the additional investments GLOBALFOUNDRIES is making in 14/12nm technologies to support the ongoing ramp of our current generation AMD Ryzen™, Radeon™, and EPYC™ processors. The strength of our flexible, multi-source manufacturing strategy is that it allows us to work across multiple foundries to leverage respective expertise at different nodes. We do not anticipate GLOBALFOUNDRIES’ new business strategy to impact the introduction/launch timing for our 7nm products. In addition, we are in discussions with GLOBALFOUNDRIES to evolve the Wafer Supply Agreement (WSA) to reflect their new business strategy and our foundry plans at 7nm. We do not expect it will impact our ability to achieve our long-term financial model. We believe we will agree on updated WSA commitments that are in the best financial and operational interests of both companies and we expect to update the market as those discussions conclude. Additionally, in support of our goal of consistent execution and a focused leadership structure we announced that Saeid Moshkelani, previously client general manager at AMD, is transitioning to further focus on our significant client computing growth opportunities as SVP & GM Client Compute, given the departure of Jim Anderson. During his time at AMD, Saeid successfully established the Semi-Custom Business Unit as a multi-billion-dollar business and also spent time leading our Product and Platform Engineering Operations to support the launch and ramp of leadership products.